Little-known or remarkable facts about Dietrich Bonhoeffer (1906–1945). Bonhoeffer’s pilgrimage offered me a much-needed clue for reapproaching the adventure of faith. Born into privilege, Dietrich Bonhoeffer was headed toward a brilliant career as a theologian. Then he came to see life “from the perspective of those who suffer.” In Nazi Germany, that cost him his life. Selected quotations from Dietrich Bonhoeffer’s writings. Significant people in Dietrich Bonhoeffer’s life. 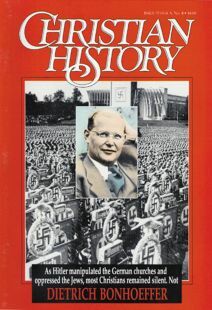 Chronology of key events pertaining to Dietrich Bonhoeffer, his life and times. Some of his works are little known. Some are fictional. But all are provocative. Here’s a brief guide. Three colleagues from Union Theological Seminary who deeply influenced Bonhoeffer. Though known as a theologian and resister, Dietrich Bonhoeffer was also a pastor—even in his final moments. His closest companion reflects on the meaning of Bonhoeffer’s life for us today. Resources for further study of Bonhoeffer and his times.